Continuing its efforts alongside pastors, churches and Global Missions field personnel to reform predatory lending practices, the Cooperative Baptist Fellowship has requested to join litigation to defend a regulation intended to restrict industry practices that create debt traps for consumers. CBF has taken the unprecedented step of seeking to intervene in litigation over the Consumer Financial Protection Bureau’s payday lending rule. We have taken this step after years of advocacy for payday and auto title lending reform. This action may create questions from our churches, pastors and supporters. This FAQ has been developed in hopes of answering some of the most common questions. Our advocacy for reform of payday and auto title lending practices has been a hallmark of our early advocacy efforts. The work has been visible and well-publicized. Questions and resources about the issue of payday lending and our advocacy for reform can be found on our predatory lending advocacy page. A collection of related news releases, columns and feature stories highlighting this work can be found here. This page is only for questions concerning our decision to intervene in the litigation. 1Why is CBF doing this? Since 2013 CBF Advocacy has been a national leader among faith communities advocating for reform of payday and auto title lending. There are numerous reasons for this advocacy, but it is primarily based upon the experiences of our pastors, churches and field personnel ministering to those impacted by these predatory products. A major emphasis for this advocacy has been support for a strong rule from the Consumer Financial Protection Bureau. CBF supporters were responsible for hundreds of public comments in support of a strong rule. Through this lawsuit, industry associations are attempting to undo years of work by the CFPB that our advocates supported. Recent actions by new leadership of the Bureau cause concerns about their dedication to vigorously defending the rule. We believe the rule put forth by the Bureau to be a strong mechanism to provide relief for the financially vulnerable harmed by payday loans across the country. After our years of advocacy for strong consumer protections, it is a natural next step for us to step up and defend our interests in the rule in court. CBF leaders including CBF Executive Coordinator Suzii Paynter, CBF Global Missions Coordinator Steven Porter and the CBF Governing Board are fully informed and supportive of this effort. 2What does it mean to be an intervenor? If the court permits CBF to intervene, CBF will act like a party on the defendant side of the lawsuit, although CBF is not itself being sued. CBF will be able to make and oppose motions and take the other litigation steps necessary to defend the CFPB’s payday rule against the industry association’s claims. To be permitted to intervene, CBF has to satisfy certain legal standards. To show the court that it satisfies these standards, CBF’s motion explains to the court our interest in the CFPB’s payday rule. For example, our motion explains that the payday lending rule will prevent lenders from trapping consumers in cycles of debt. This change will mean that fewer payday borrowers are in crisis and in need of our support; our field personnel will be able to redirect their attention and pursue new mission initiatives. In addition, CBF has spent resources advocating for payday lending reform that can be channeled elsewhere if the rule is implemented as planned. 3Is CBF suing someone (the CFPB)? No. Due to our extensive work in this area through both direct missions as well as advocacy, we are asking the court for permission for CBF to intervene in the case.  If CBF is granted permission to intervene, CBF will act like a defendant in the lawsuit. CBF is not suing anyone, nor are we being sued. 4How much does this cost CBF? CBF will not incur any costs by seeking to intervene in the litigation. We are being represented pro bono. Therefore, no contributions from individuals or churches will be expended on legal services. CBF is being represented by Public Citizen Litigation Group, the nonprofit, public interest law firm that is part of Public Citizen Foundation, a national nonprofit, nonpartisan consumer advocacy organization based in Washington, D.C.
6What is the basis of the lawsuit? In April of 2018 two industry associations, the Community Financial Services Association of America and the Consumer Service Alliance of Texas, sued the Consumer Financial Protection Bureau hoping to prevent the implementation and enforcement of the CFPB’s payday lending rule. 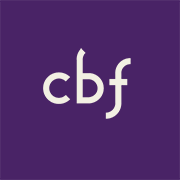 7What is CBF hoping for from this litigation? Ultimately, and most importantly, CBF hopes that by defending the rule in court, the rule will be implemented as planned, by August 19, 2019, and prevent predatory lenders from exploiting the financially vulnerable in their time of desperation. It is wrong for someone to profit off the misery of others. While occasionally short-term small-dollar loans work as advertised, far more often they create a debt-trap that borrows have a hard time escaping. It is wrong to create a product that takes advantage of others. Ultimately, the CFPB payday lending rule seeks to make sure lenders are not profiting off of loans they know their customers have little to no hope of repaying without the need for and extension or re-borrowing.